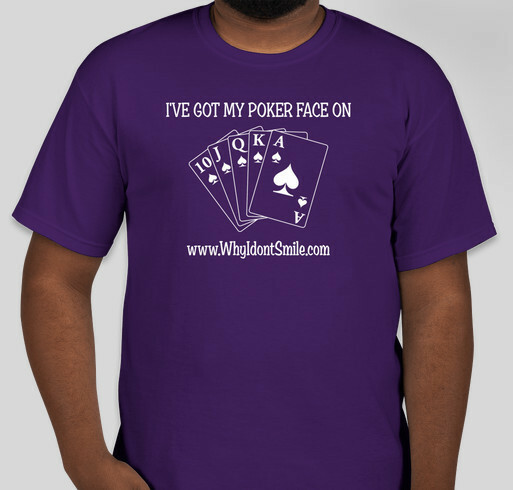 Put on your Poker Face and spread some Moebius Syndrome Awareness this summer. All funds raised will be paid directly to Tim Smith for website expenses..
All proceeds from the sale of these shirts go to the Many Faces of Moebius Syndrome to help offset the cost of website expenses. Share Why You Support "Moebius Syndrome Summer Awareness"